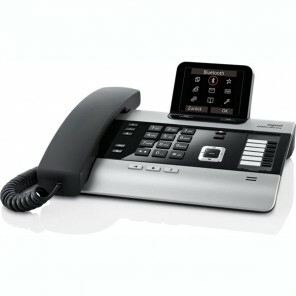 A modern and flexible telephone system designed to accommodate all different types of connections. 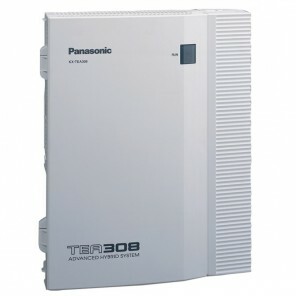 The combination of traditional external telephone lines with IP technology will allow you to handle all of your business needs. 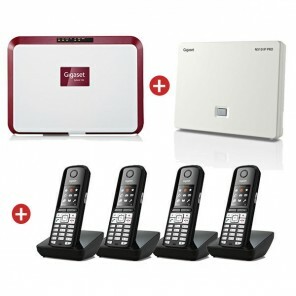 Communicate with your analog line, digital line or even VoIP. 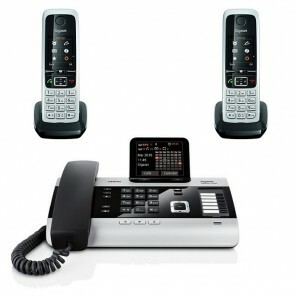 Multi-line desktop delephone for SMEs with 2 Gigaset cordless DECT handsets.